From Lebanese-Palestinian director Carol Mansour, the documentary Stitching Palestine will be screening twice at the Netherlands-Flemish Institute in Cairo (NVIC) on 4 and 6 February. The screening will be followed by a discussion with Mansour and the film’s producer and researcher Muna Khalidi. 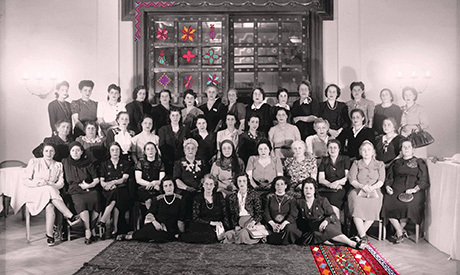 According to the film description, Stitching Palestine focuses on 12 Palestinian women of different backgrounds, talking about their life before the diaspora, their memories and identities. Mansour is an award-winning filmmaker whose work is addresses with social and human rights issues. Her 2006 film A Summer Not to Forget received several awards, including the Best Short International Documentary at the New Zealand Festival and Best Documentary at the Sole Luna Festival.